Check out the Jan–Feb 2018 issue of our AGACAD Advances newsletter! From the outset of the year, our sights have been set on creating tomorrow's AEC with a focus on AI for BIM, a common data environment, mixed reality, and facility management. At the same time, webinar season is in full-swing, further developments are coming out for our precast and framing solutions, and our add-ons are being added to the Revit App Store. Read the newsletter for a quick overview. Our third webinar of 2018 will be on February 15th. 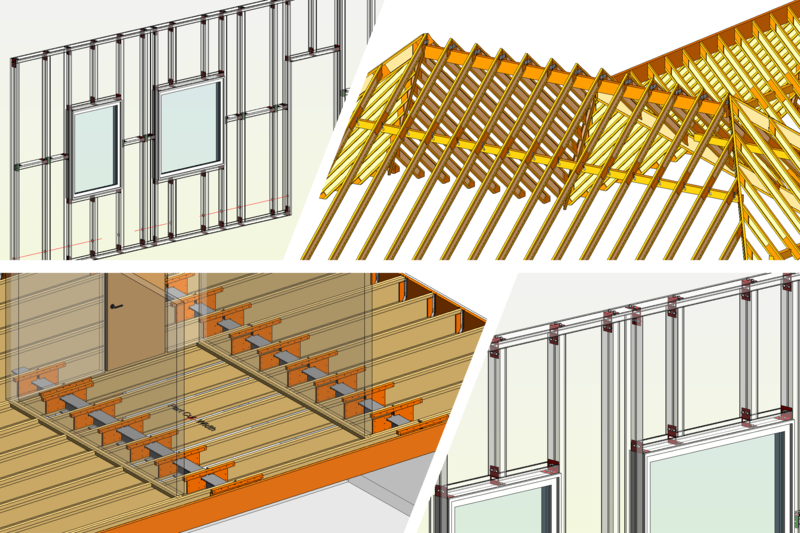 This one's about creating complex connections automatically, and we'll begin with auto-generating multi-layered wall/floor/roof framing in Revit. That's just the preparation for the fun part, though! Once we've done the framing, we‘ll see how to distribute various connection details (fasteners, hardware, etc.) automatically using our Wood & Metal Framing software and, for even more complex situations, Smart Details, which lets you define rules and insert hundreds of elements throughout your project with a few clicks. How can you distribute details with the Framing Software? What are the benefits and possibilities of using Smart Details as well? Find out in this webinar! We kindly invite all current users of our Framing software as well as potential users to attend. If you're a modeler, designer, engineer, or architect in Revit, we warmly welcome you to join in this webinar. Our engineer will show just how quick and simple handling fasteners and hardware in Revit can be. Come and see how to do it for yourself! From the day it was founded – February 1, 1991 – AGACAD has always been ahead of its time. It’s in the company DNA. For the past 27 years, we’ve been driving innovation forward by building on the insights of our clients and adroit BIM users to deliver the technology of tomorrow. With the emergence of artificial intelligence in AEC and the myriad benefits it holds in store, our current focus is on BIMAXON and buildings with AI. For more on merging BIM with AI and how it will impact everyone involved in the lifecycle of a building, head over to CEO Donatas Aksomitas’ blog BIMAXON. With a firm foundation under our feet and forward-looking clients at our side – all 11,000+ of them in more than 130 countries around the world! – we’re moving with steady steps toward creating tomorrow’s AEC. Our second webinar of 2018 will be on February 8 and will cover precast concrete and the modeling and documentation thereof. We invite all current users of our Precast Concrete software as well as potential users to attend. 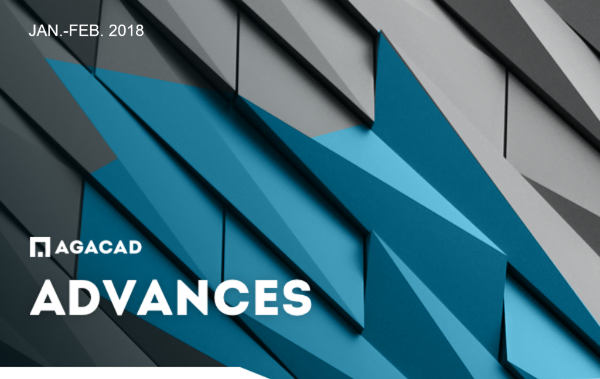 This webinar is ideal for structural engineers, designers & drafters, BIM modelers & detailers, and CAD engineers & technicians. Companies in building design & engineering, consultancy, and manufacturing are likewise whole-heartedly welcome! We’re kicking off our 2018 webinar season on January 31st! 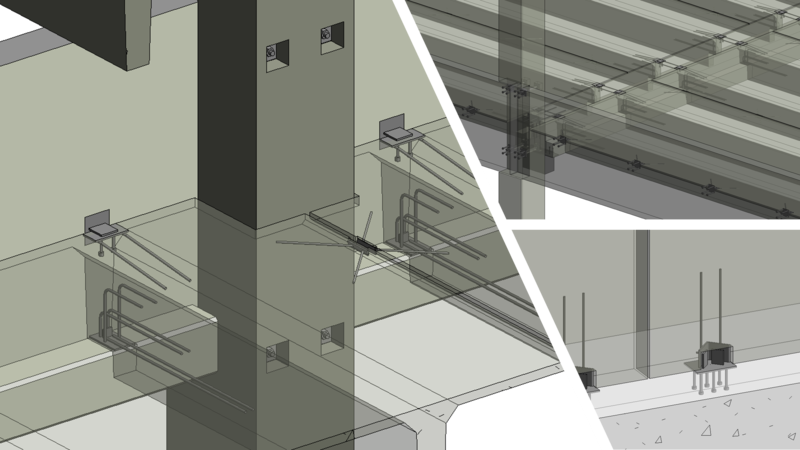 The first installment will be on framing multi-story buildings in Revit®. The content of the webinar is applicable to both wood and metal framing, so if you’re into either or both of those, we invite you to join us. We kindly invite all current users of our Framing software as well as potential users to attend. If you're a modeler, designer, engineer, or architect in Revit, we warmly welcome you to join in this webinar. 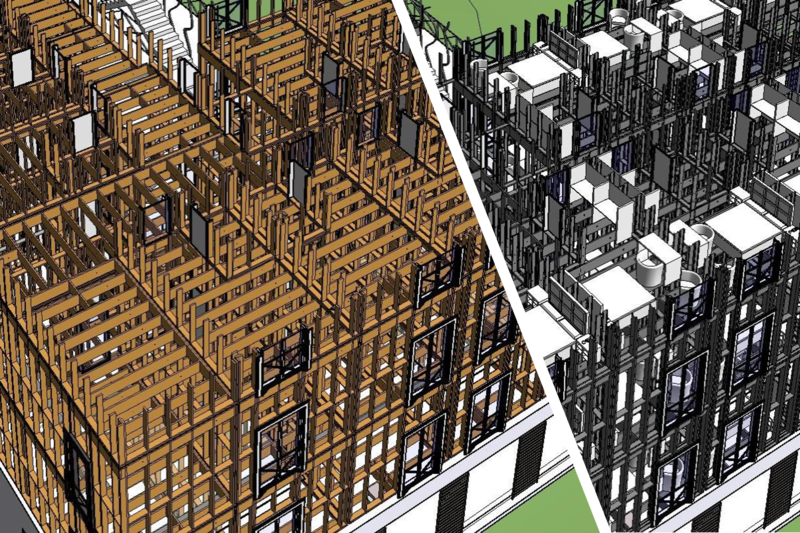 The workflow our engineer will present significantly speeds up framing multi-story buildings. Come and see how to do it for yourself! We’ve made some changes to MEP Hangers so that it can now be used in Revit® even when Revit is set to languages other than English. Thus, starting today, you can choose to run Revit in any of its available languages (listed below) AND still use MEP Hangers. 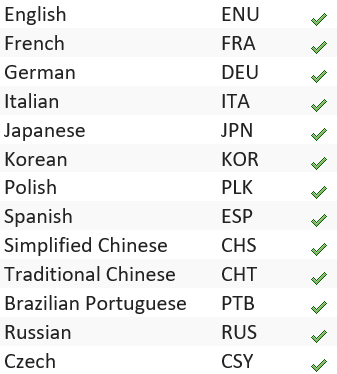 To be clear, MEP Hangers itself isn’t translated into all these languages, but it does mean that you can run Revit in, say, Russian or German (or any of the other above languages) — and all the features of MEP Hangers will still work properly. Now that's some great news! We’ve put together a couple of “sneakpeeks” to summarize a webinar we hosted in 2017 about using our Cut Opening tool to, you guessed it, cut openings in a Revit model! 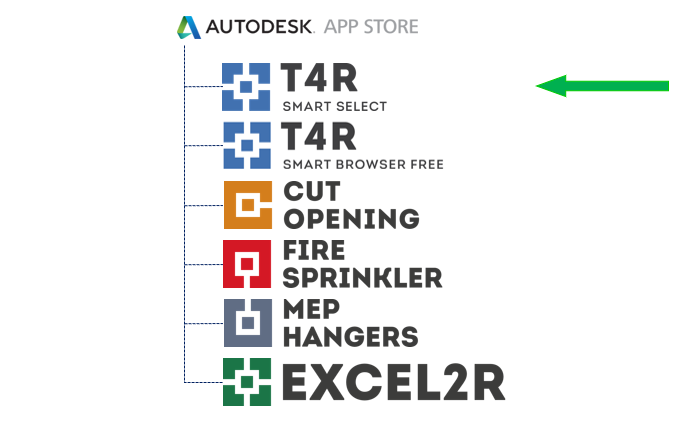 In the pair of videos below, you can see the software being used to insert openings for MEP services – including fire safety components – and generate builders work drawings. How can Cut Opening enhance your Revit workflow? 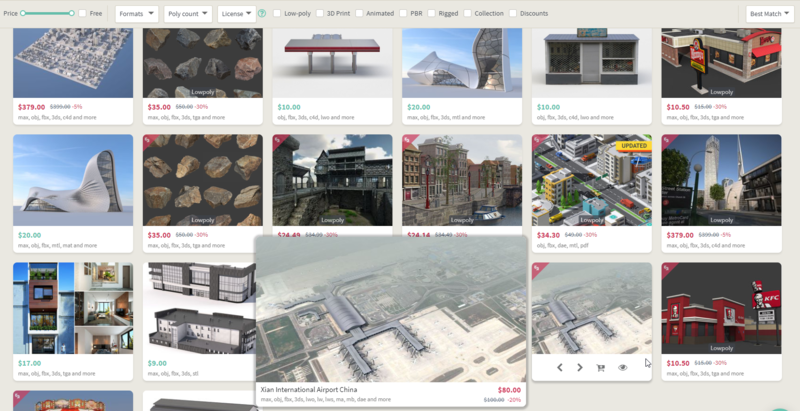 CGTrader, the 3D model marketplace of which AGACAD CEO Donatas Aksomitas was a founding angel investor, recently raised €2 million in funding to accelerate global expansion. It’s another example of AGACAD’s vision and contribution to creating the technologies for tomorrow’s AEC.